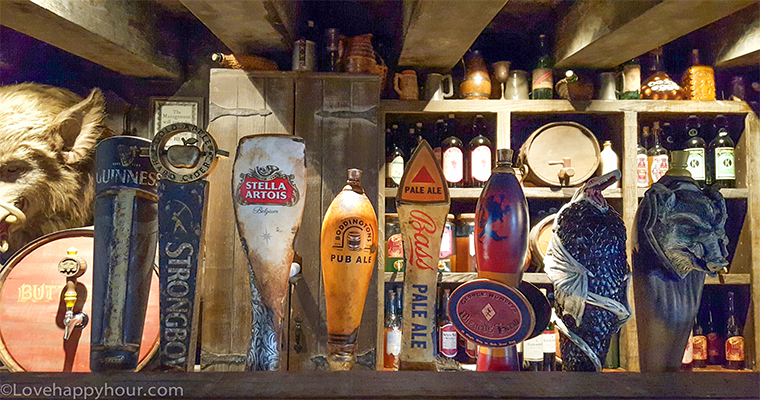 Beer Tour: Making the Rounds at Universal Studios Hollywood. 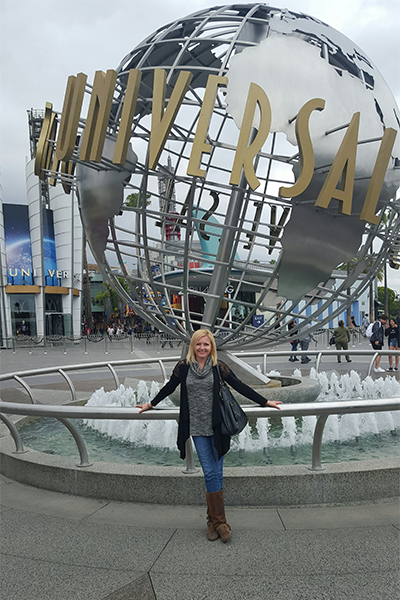 For my recent Cinco de Mayo birthday, my husband surprised me with tickets to Universal Studios in Hollywood. I was so stoked - my hint dropping had worked! He had wanted to keep it a surprise, but I kept asking how I should dress for our fun day (works everytime) and eventually he caved and told me we were going to check out the Wizarding World of Harry Potter! 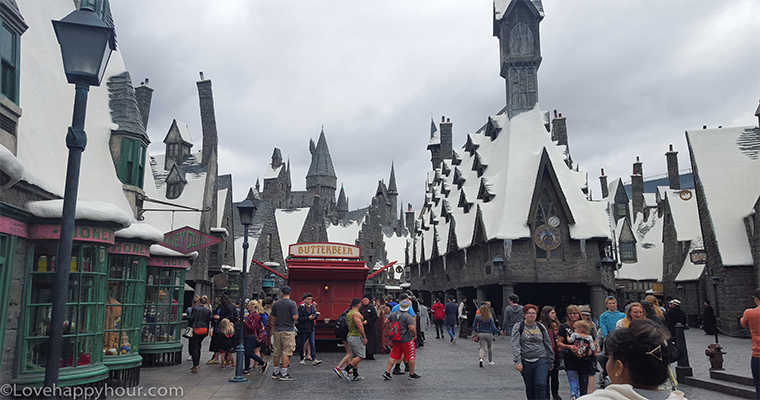 I texted my girlfriend who had gone their for her birthday a week prior and she said to hit the rides early before the lines got to long and to sip on some Butterbeer before we left. 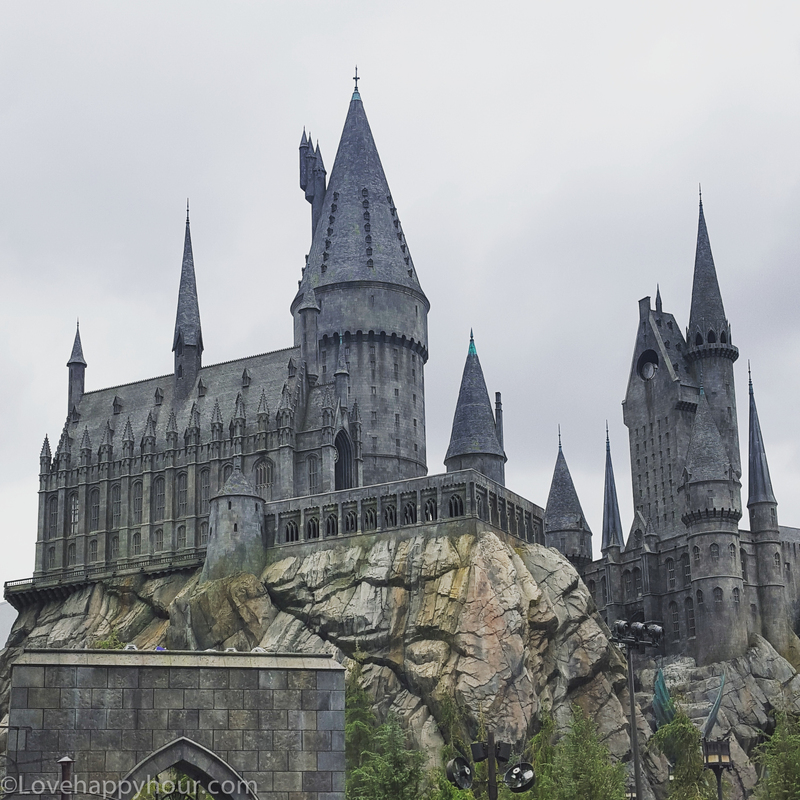 On the morning we left for Universal Studios, the weather was very overcast and served as the perfect backdrop for our Hogwarts adventure – it truly felt like we were on set of the Harry Potter movie production. 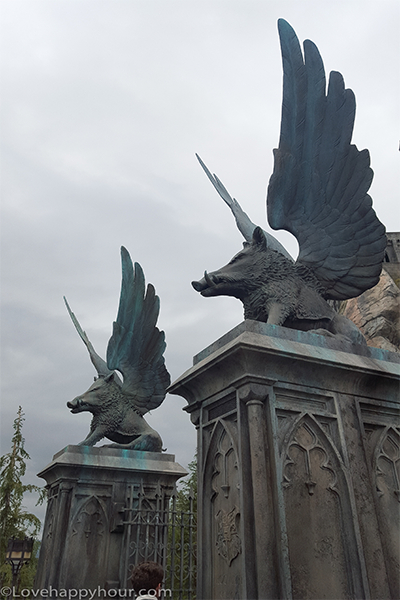 The architecture of the Hogwarts Academy at the new Wizarding World of Harry Potter is formidable and probably my favorite part of our theme park experience that day, but before you make it to Hogwarts Academy you’ll pass through all of the shops to get there…so many shops. After window shopping and our ride, we decided to hit up Hog’s Head Pub for beer. 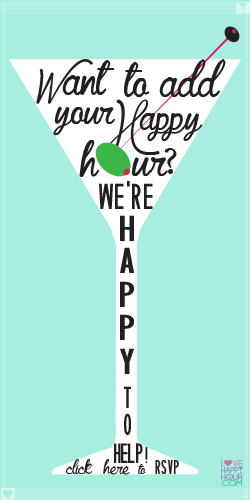 There, you can purchase Butterbeer or Pumpkin Juice (both non-alcoholic) and a variety of other beers on tap including Boddington’s Pub Ale, Dragon Scale, Wizard’s Brew, Guiness, Strongbow, Bass Pale Ale and, Stella Artois and other “spirits.” Hopefully not a dementor, I joked. The bartender (or perhaps Muggle?) 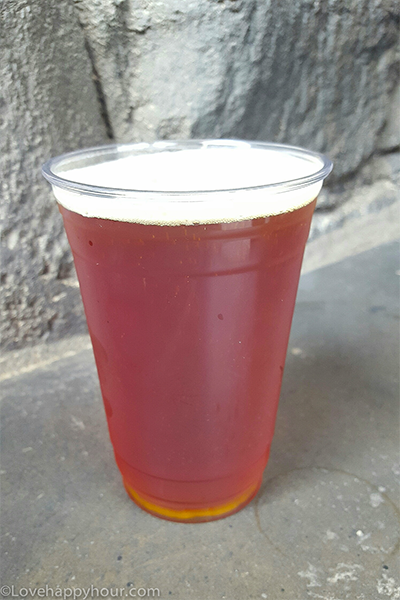 suggested the Dragon Scale, a red-ale style beer with a crisp finish – loved it. 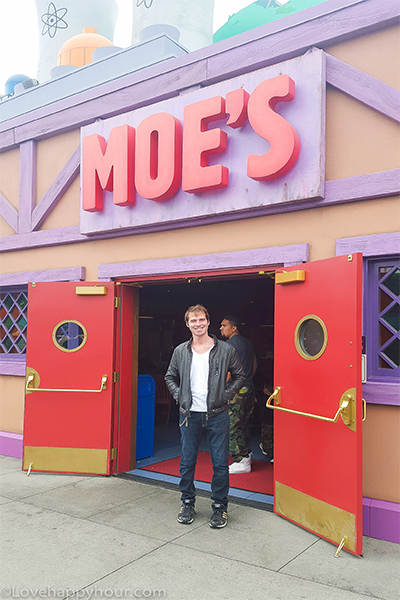 I had got my Harry Potter fun in, so it was time to humor my husband and take him to Springfield, where he could enjoy all of his Homer-esque activities including a stop at Moe’s Tavern. 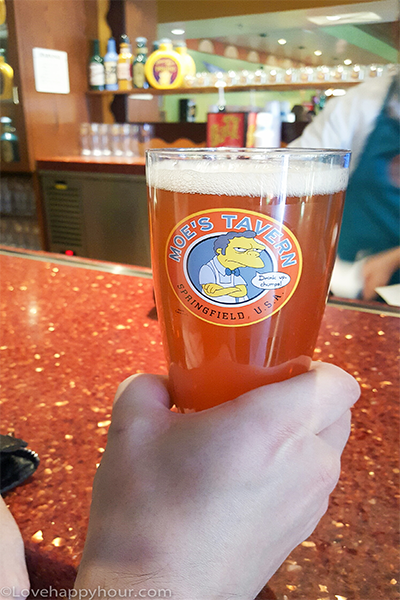 In the Simpsons TV series, Moe’s is Homer’s local bar where he drinks he favorite, Duff beer. 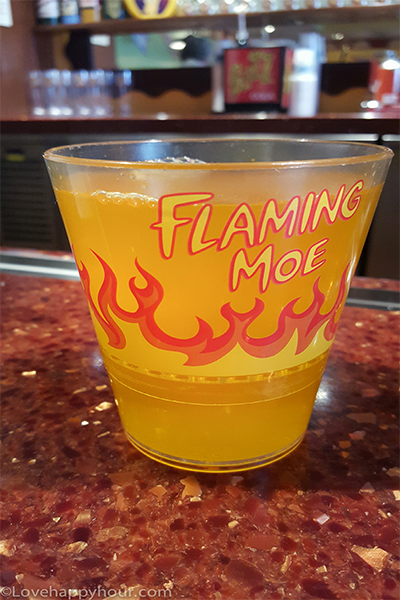 We sat at the bar, ordered a Duff’s and considered ordering the Flaming Moe, but found out it was non-alcholic and pretty sweet, so we passed. The Duff beer was light, malty and slightly more expressive than a Budweiser, and as pointed out by the bartender, “better value because it’s the same price at the Dragon Scale, but a bigger-sized cup.” Thanks for the tip! He and my husband went back and forth exchanging Simspon quotes and at that moment, I knew we had a smart stop. 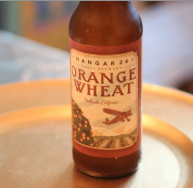 If you make it to Universal Studios Hollywood, you’ll have plenty of great craft beer options and even some fun cocktails to boot. 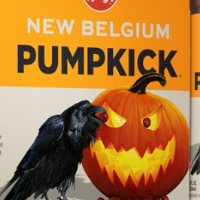 Just remember, your kids can drink the Butterbeer, but there are better beer options for the beer snob in you, and they definitely play into the fun of your surroundings.